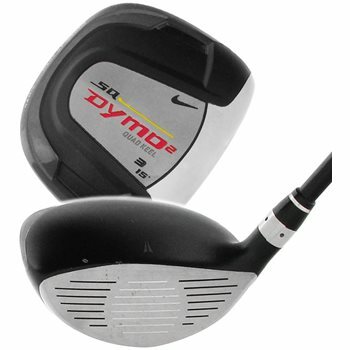 The Nike SQ Dymo Squared fairway woods feature a stainless steel head with a Quad Keel Sole, which angles the critical sole quadrants to minimize interaction with the ground, resulting in better contact, and straighter, longer shots. The Quad Keel Sole makes it easier to get the ball airborne from most any lie, easier to control the head through impact, and easier to hit straighter and longer. The square geometry positions weight in the corners of the head for a deep, low center of gravity and exceptional stability and control. Review by Andrewmiller1220, 2 years ago.